Although often overlooked, stairs can have a powerful impact on the look and feel of a house. From a practical point of view, they exist to provide a safe way of getting from one floor to the next. Aesthetically, they make up a major component of a home's design. An attractive, well-proportioned staircase, whether straight or curved, can instantly enhance and add value to a property. Everyone likes to make a good impression, and stairs are often the first thing visitors see when they cross the threshold. A poor design, on the other hand, is likely to upset the balance of the whole house - especially if it's the main stairway - and could actually reduce its resale value. So where do you start when looking for a new staircase? Thanks to StairCreator, our free, interactive 3D design tool, you can experiment online in the comfort of your own home with different types of stairs that might otherwise be hard to visualise, and get an instant price estimate. Step-by-step instructions will guide you through the process of choosing all the stair parts to build up a customised, three-dimensional image of the finished product that you can view from all angles. The tool is simple to use, and you can go back at any time to alter your choices and get a feel for how the stairs will look with different colours, materials and components. Not only will the staircase image change each time you enter a new requirement, but the price will also update automatically to reflect your adjustments. Decisions such as the size, style and colour of the treads, newel posts, spindles and handrails are all down to you. If you don't like the look of any of them, you can go back and modify the design as many times as you like. Certain combinations are not compatible with each other for structural or safety reasons, and the StairCreator will let you know when this is the case. You begin by entering the approximate floor-to-floor height required. This comprises the total rise of the staircase, measuring from the top of the finished lower floor to the top of the finished upper floor. In case you're wondering, a finished floor is the surface you walk on, including any covering such as carpet, vinyl, ceramic tiles, flagstones or laminate. Now you've found out the height, you have to decide how wide you want the stairs to be (unless you’re simply replacing an existing staircase). The total width will consist of the measurement across the steps and strings combined. What are strings, you may ask? Also known as stringers, these are the long, thin baseboards that run along either side of the staircase to support its structure. The standard stair width is 860mm, so try not to go much below that. Of course, unless you're designing your house from scratch, the width will be dictated by the space available. If you have a choice, pick the widest tread that will fit. Wide stairs are safer, look more inviting and are more practical, especially in large family homes. They also make it easier to move furniture between floors. The next stage is to pick the number of steps required. The more steps you have, the more gradual the rise, or slope, will be, and the easier you will find it to climb the stairs. The StairCreator will tell you how high the rise will be according to how many steps you select. The rise is the vertical height between one tread and the next, and should be between 190mm and 220mm to comply with UK building regulations. A standard rise is around 200mm, so if you go much above this figure you might find your stairs a little on the steep side. You also have to decide how many turns the staircase will have, if any. Straight stairs are the simplest and most cost-effective option, house layout permitting. Ultimately, the size and shape of the space available will dictate the main design elements. U-shaped and L-shaped stairs are generally more aesthetically pleasing and comfortable to climb. However, they are a little more complicated, time-consuming and therefore expensive to construct. The turn, if one is needed, can take the form of a landing or a winder - or a combination of both. A landing is an intermediate platform situated between floor levels to connect flights of stairs. It may consist of a quarter landing (the width of one flight of stairs) which gives a 90 degree turn, or a half landing (the width of two flights of stairs) resulting in a turn of 180 degrees. You may need a second turn if horizontal space is limited, so that the stairs can twist more tightly. Landing joists for extra support, along with interlocking tongue & groove floorboards to cover them, are also an option. A winder is a triangular or kite-shaped tread which creates a turn in an otherwise straight staircase so that it can change direction without the need for a landing, thus saving space. Pear Stairs normally uses three treads to form a 90 degree, or quarter turn (a single winder) and six treads for a 180 degree turn (a double winder). Stairs can be configured to turn left or right to suit your layout. You can choose one or two feature steps to give the stairs an initial flourish if you like, with either softly rounded bullnose or more pronounced 'D end' shapes available in a variety of combinations. The StairCreator will show you how each style would look. As for tread thickness, although a 21mm tread is viable for some staircases, a standard measurement of 32mm is recommended - and indeed is essential if you want open risers (gaps between the steps). Open risers are becoming increasingly popular as they allow more light into the room and increase the overall feeling of space. Now for the structure surrounding the stairs. If the staircase is to be situated next to a wall, the system will automatically remove the handrail on that side during the design stage. However, you can buy sections of special wall handrail at a later stage in the process if desired. You will also be asked if you want rake cover mould. Rake refers to the pitch, or steepness, of the stairs. Cover mould is a decorative moulding that conceals the join between the plasterboard that is fitted beneath the stairs, and the apron (a fascia used to cloak the side view of the staircase). Most people choose to include the rake cover mould as it gives a tidier, more streamlined appearance. The next decision concerns whether to have cut (open) or closed strings. As outlined earlier, strings, or stringers, are sloping boards which support the structure of the stairs. A closed - also known as solid - string runs continuously up both sides of the stairs and completely encloses the treads and risers, hiding the edge of the stairs from view. A cut, or open, string has the upper edge machined away to match the shape of the steps so their outline is visible from the side. This design is more elaborate, and therefore more costly, than the closed string version, but is often considered more attractive. If you opt for cut strings you'll have to decide between a scotia and a bracket to accompany them. A scotia is a thin, straight moulding that sits next to each step, just below the nosing (the protruding edge of the tread). A bracket is a flat, more decorative piece of moulding designed to show off the side profile of the stairs. Onwards to choosing the newel posts. These are upright supports that anchor the treads, strings and handrails of the staircase, and form an important part of its structure. Newels come in a variety of designs ranging from modern to traditional. They set the tone for the whole staircase, as they are prominently positioned at the top and bottom of the stairs, as well as at any turning points. Newel posts are not normally used next to walls, so the StairCreator will automatically remove or reduce them to suit your layout. A choice of newel caps to top off the posts is next on the menu. The range available can vary depending on your selection of newel, as the system won't let you choose styles that are incompatible. Most caps are made of wood, but there is also a metal version for a more contemporary look. To comply with building regulations your stairs will need a handrail on at least one side if they are less than 1m in width, and on both sides if they're wider than this. Most domestic staircases measure less than 1m, but you may prefer to install one anyway for ease of use. No rail is required on the first two steps up. There are several sizes and styles of handrail to choose from, including a modern square design, low profile for a smaller rail, and a slender version for a sleek appearance. If you require a rail on the wall you can select either a round, mopstick style wall handrail, available in two diameters, or a shaped 'pigs ear' handrail. Both are sold in a variety of lengths. The mopstick rail requires brackets, which come in a black, silver, brass or zinc finish. The pigs ear rail is attached directly to the wall. This takes up less space, making it ideal for narrow stairways. If you've chosen a closed string staircase you have the option of adding a base rail - a grooved rail that sits on top of the string and holds the spindles in place. You won't need a base rail if you've selected a cut string staircase, as the spindles will be attached directly to the steps. Spindles, also known as balusters, are the vertical supports that run up the side of the stairs between the handrail and the steps. Such a conspicuous feature can make or break the look of a staircase, so it's worth taking your time over choosing a design. Three sizes of spindle are stocked, with the largest, 41mm size sold in the widest choice of styles. Most are made of shaped and turned timber, supplied in a range of hardwoods (ash, oak and sapele) or softwoods (Scandinavian pine, hemlock and southern yellow pine). You can also select wrought-iron effect steel spindles in a variety of attractive wrought-iron effect designs, as well as a contemporary wood/metal version. It is possible to mix and match spindles if you wish, and create a striking effect by arranging two styles in different combinations. The StairCreator will show which shapes and sizes can be used together, so have a play around to explore all the various possibilities. The question of a return balustrade is next on the list. A balustrade comprises the complete assembly of handrail, newels, baserail and spindles which form the railing for the stairs. A return balustrade is an extra section, or run, of rail situated on the edge of the landing to protect the opening around the stairwell. You may need either one or two runs, depending on the layout of your home. Most people continue with the same style of balustrading as for the stairs, but you can select a different design if you prefer. The StairCreator can demonstrate how the balustrade would look running to the right or left, as well as in a forward direction (angled towards the stairs) or backward direction (away from the stairs). You can add newel posts if you like, or leave them out if the balustrade is to be attached to a wall. An approximate idea of the balustrade length required will be enough at this stage, as you can enter more detailed measurements later on when the design has been finalised. Trimmer lining refers to the finishing touches that conceal any joins and help give a streamlined look. It consists of nosing (the edge of the tread that protrudes beyond the face of the riser), cover mould (a moulding that hides the line between the side of the stairs and the plasterboard underneath) and apron (a fascia board that covers up joists). If you have chosen rake cover mould at stage 5, for a cohesive look you will probably want to continue with this option and click on 'Nosing, Cover Mould and Apron'. When selecting the height of the balustrade, bear in mind that this measurement will also apply to any other landings on the staircase, such as quarter or half landings. Finally, having chosen the structure of the stairs, it's time to decide on the materials. You can opt for the same material and colour throughout if you like, or select the 'Custom' option. This allows you to choose the individual make-up of each component, starting with the strings and finishing with the rake cover mould. You might be tempted to go wild and choose different materials for every stair part, but it's generally best to stick to just one or two types for a smooth, cohesive effect. Certain styles of component, such as Vu and Flo spindles, are only available in a limited number of materials and colours. If you're keen on a particular finish, such as pine or ash, you can go back at any stage of the process and pick a different shape of spindle that comes in your preferred material. All white-primed parts have been sprayed with primer paint to seal the timber, ready for you to add an undercoat then one or two top coats in the colour of your choice. Because the StairCreator continually recalculates the price whenever you change any of the specifications, you can easily keep on top of the costs involved as you go along. If you need to stick to a budget, you can experiment with a variety of styles and materials at every stage of the process to explore all the options. Where price is a major consideration, plywood risers make a good value-for-money choice if you're intending to conceal them with carpet. Similarly, MDF winders are cheaper than wooden ones, and some types of timber are less expensive than others - pine, for instance, costs considerably less than ash or black walnut. However, you may decide it’s worth paying more for the beauty of high quality hardwood. Metal spindles create a striking effect, while at the top end of the scale are glass side panels. Individually made to measure, they can provide an eye-catching alternative to traditional balusters. So go ahead, have a play with the StairCreator and tap in to your inner artist. 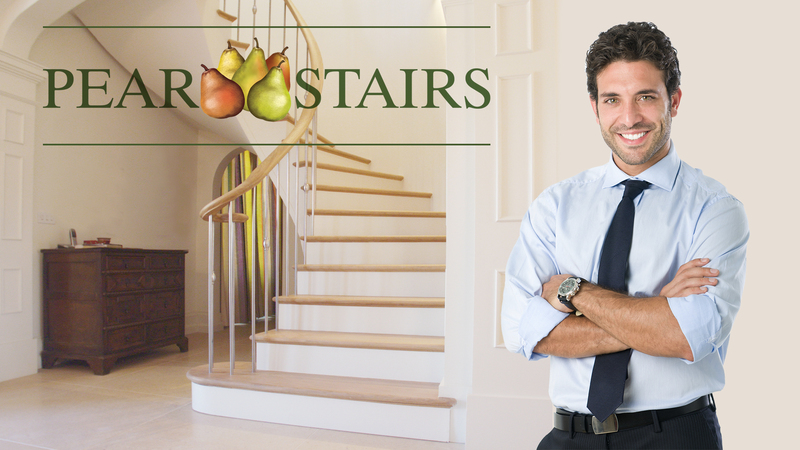 If you're not sure what some of the stair parts are, take a look at our Staircase Glossary. Our designers are also happy to offer advice and guidance - just call 01938 553311 or click on the icon at the top of the home page during office hours for a live web chat.